I am pleased to announce that Nadal will incorporate the CORPINNAT brand on the label of its sparkling wines Nadal, Salvatge and RNG starting in the spring. 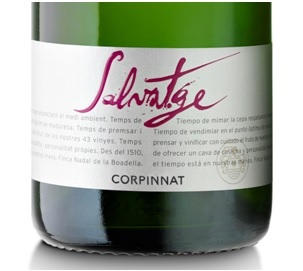 The collective brand of the EU CORPINNAT was born in Sant Sadurní d’Anoia on April 10, 2018, driven by a group of six wineries —Gramona, Llopart, Nadal, Recaredo, Sabaté i Coca, and Torelló. We made a generous exercise in self-discipline,in order to set offgreat sparkling wines produced in the heart of the Penedès. The brand, which is open to all those wineries that comply with the strict requirements detailed in its Regulations, is the result of four years of long conversations and reflections on the need to make the territory stand out, with a style of its own and a great rigor in the production process. The sparkling wines CORPINNAT come from mainly autochthonous grape varieties cultivated in the area, where more than 130 years ago the first sparkling wines of this country were born.The production is 100% ecological, 100% hand harvested, and 100% elaborated in the cellar itself, with minimum ageing in the bottle of 18 months, and with the commitment to integrate the grower in the value chain of the product. Since the beginnings, the brand was thought and developed with the clear wish to coexist within the DO Cava, but this has not been possible. At CORPINNAT, we have always advocated that the two brands could share a same label without losing personality but, unfortunately, the Cava Regulatory Council has made a more restrictive interpretation and has prevented it. That is why we announce that on Wednesday, January 30, 2019, the six founding brands in addition to the Mas Candí, Huguet-Can Feixes and Júlia Bernet wineries requested the voluntary exitfrom the Cava Regulatory Council. Therefore, as of spring, the labels of all our sparkling wines will incorporate the CORPINNAT logo and the designation Cava will disappear. After 75 years of full dedication to the production of sparkling wines,which the grandfather called champagne, the father called cava, and my daughter will call Corpinnat —, at Nadal we have understood that we now have to take a step forward in favour of the evolution of the sector. Today we leave behind a history full of good times, but we are confident that, from the cooperation between competitors and a clear commitment to the rigor and the quality of our products, new opportunities will emerge. We begin a new phase in our history and we would like you to keep walking with us on this path.